Our free Gemini horoscope forecasts are the best Gemini horoscopes for males and females daily, weekly, monthly and yearly. Gemini daily horoscopes daily and monthly astrology predictions are featured by astrologer, with reviews of their astrology websites. Our Gemini weekly horoscopes feature links to horoscope forecasts by astrologer as well, but are also organized by day of release throughout the week. We've spent more than a thousand hours to find your best free Gemini horoscopes and astrology predictions online. We include Gemini yearly horoscopes for 2019, covering the best astrology for the whole year ahead. Why not have a look at our Gemini love horoscopes, which focus on astrology in relationships for man or woman, and read about personality traits and characteristics below. The sign of Gemini is the 3rd sign of the zodiac in western astrology. Well known for being of two minds, this is readily apparent in the duality of the Gemini zodiac symbol, the twins. A Gemini man or woman is very curious as well as talkative and communicative, being ruled by Mercury. They have these tendencies in common with Virgo. They are indeed changeable, and possess flexible and adaptable personality traits as one would expect of a mutable sign. Gemini is also an air sign, like Libra and Aquarius. Of course, it can be hard for others to know what's really going on inside a Gemini. Half the time they haven't quite put their finger on it yet either! Fortunately, Mercury gives them a love for the exchange of ideas as well as aptitude in commerce. Unfortunately, others may have a hard time trusting them since they can come across as anxious or distant because they may feel uneasy. These traits and characteristics can be visible in male or female Gemini rising or those with moon in Gemini in their birth chart too. The zodiac sign of Gemini is a masculine sign, regardless of whether a man or woman. Gemini possesses tremendous intelligence and they love mental challenges, though they dislike the effort involved in learning. In relationships, Gemini males and females may smolder at first, but then tend to take things lightly. This may leave their partner confused about these conflicting traits and tendencies. Their emotional involvement tends to run deeper at the outset, but drops into neutral once the thrill of the chase is over. They are not generally considered reliable, though they are fun and witty conversationalists. On the shadow side, Gemini is often not conscientious and, at their worst, can have deceptive personality traits. They are prone to childishness and don't handle complex emotions well. Gemini doesn't enjoy solitude for the most part, preferring the exchange and they do best with a lot of activity and variety. Spiritually, they are artists, inventors and poets at heart. Gemini can be quite brilliant and thrive in diverse, creative, communicative environments. Again, these tendencies may show themselves in men or women with Gemini moon or rising in their birth chart as well. If you would like to know more about western astrology or Gemini moon and rising signs, take a look at our zodiac astrology primer or our deeper overview of the zodiac signs. For the best astrology websites on the internet, we've got a special section and be sure to bookmark our site at free horoscopes and astrology. 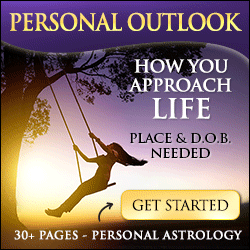 Come back often for all the free astrology we've organized daily, weekly, monthly and yearly. At last you don't have to search for hours on the web to find the best free Gemini horoscopes and astrology forecasts online! Our description of the sign of Gemini is only a brief overview. For much more information about the sun, moon and rising sign of Gemini in western zodiac astrology, we recommend the following astrologers. Whether you speak Francais, Deutcshe, Espanol, Dutch, Svenske, Portuguese or Anglaise, gemini, we've got the best gemini horoscopes online!